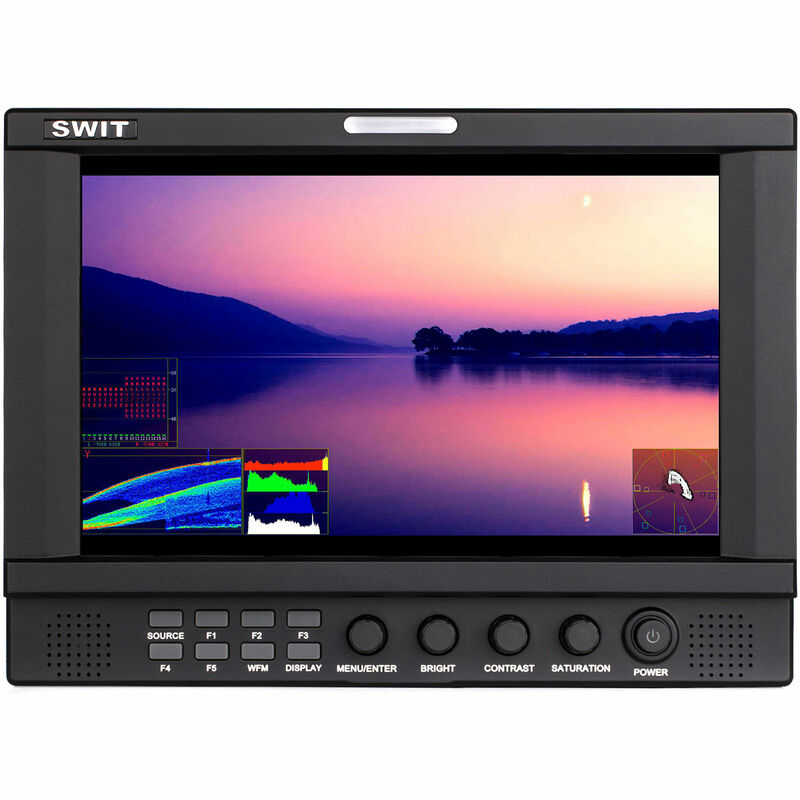 The SWIT S-1093F 9” Full HD Waveform LCD Monitor features a 1920 x 1200 resolution IPS LCD panel with 2K/3G/HD/SD-SDI and HDMI inputs. It provides broadcast technical reference patterns, waveform, vectorscope, histogram, up to 16-channel audio meters with alerts, and you can select any 2-channel audio for output. Moreover, the peaking focus assist, false color, R/G/B/Mono, H/V delay, UMD, AFD, and scale markers are useful functions for broadcast field and studio monitoring. It comes with a set of eight interchangeable battery plates, making it compatible with various batteries from Sony, Panasonic, Canon, JVC, and SWIT. The monitor can also be powered using the included D-Tap to 4-pin XLR DC cable.